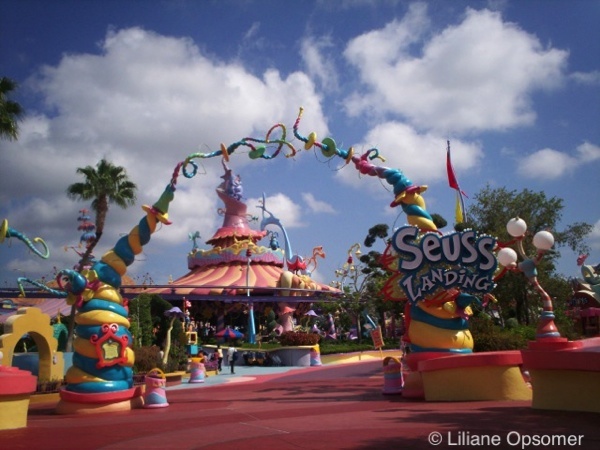 Seuss Landing is a 10-acre themed area based on the author’s famous books at Universal’s Islands of Adventure. 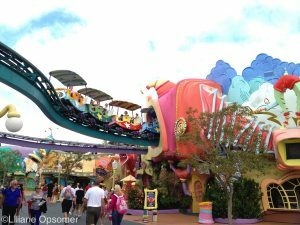 Buildings and attractions replicate a whimsical, brightly colored cartoon style with exaggerated features and rounded lines. The odd-shaped facades were carved from Styrofoam and sprayed with concrete, and the impossibly bent palm trees were salvaged from Hurricane Andrew, resulting in a land without a single straight line or right angle. Caro-Seuss-el is a totally outrageous, full-scale, 56-mount merry-go-round, made up entirely of Dr. Seuss characters, each of which has an interactive effect (wagging tongues, blinking eyes) that the rider can control. While you turn, a Seussian orchestra of ridiculous instruments plays like a cacophonous calliope. Caro-Seuss-el is a gentle ride, even for the smallest children. 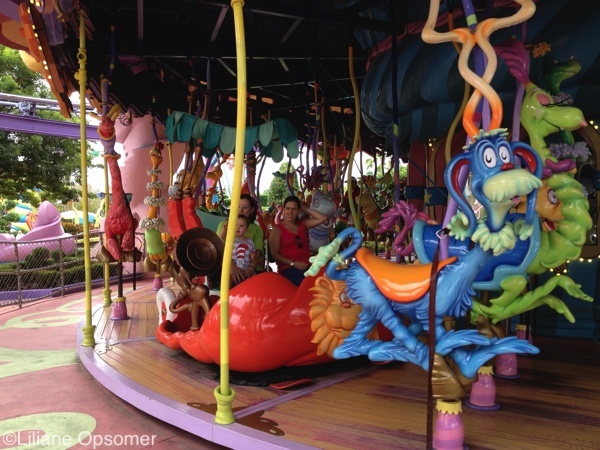 If you are too old or don’t want to ride, Caro-Seuss-el is still worth an inspection. If you do want to ride, waits are usually not too long, even in the middle of the day. 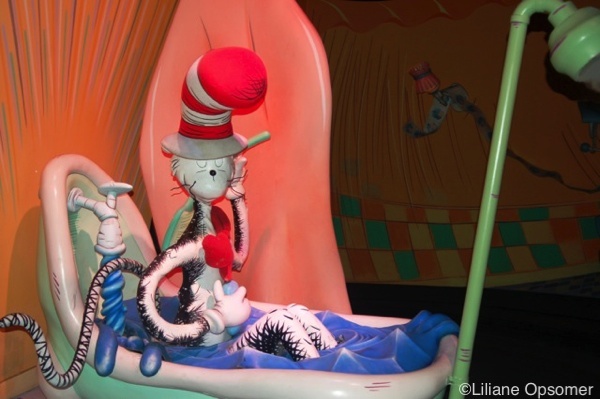 The Cat in the Hat ride is Universal’s answer to Disney’s vintage Fantasyland dark rides. 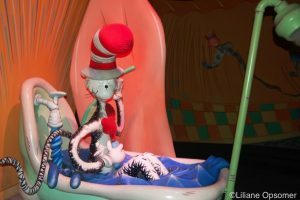 This indoor, sit-down attraction recounts the entire Cat in the Hat story from beginning to end, in a little more than 4 minutes. 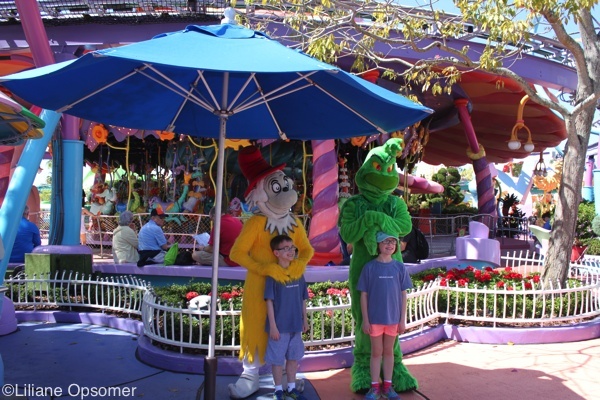 Guests ride on “couches” through 18 different sets inhabited by animatronic Seuss characters. Of course, mayhem ensues when Cat brings Thing 1 and Thing 2 over to play, as the beleaguered goldfish tries to maintain order in the midst of bedlam, but the entire mess is cleaned up just before Mom gets home. The audio narration is clear, and each scene is crammed with the kind of crazy furniture and bizarre housewares found in the book. The ride is straightforward enough, but we wish it had more sophisticated animatronics and better effects. Unfortunately, in 2014 the ride’s energetic spinning was greatly dampened, and a new height minimum was imposed, reducing its appeal for both tykes and teens. The High in the Sky Seuss Trolley Train Ride! 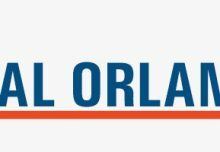 is an elevated train ride through and around the buildings in Seuss Landing. The Trolley Train is a shorter, distant cousin to the Magic Kingdom’s PeopleMover in Tomorrowland. Trains putter along elevated tracks while a voice reads a Dr. Seuss story over the train’s speakers. As each train makes its way through Seuss Landing, it passes a series of simple animatronic characters in scenes that are part of the story being told. The slow ride around Seuss Landing is pleasant and affords great views of most of the park, including Marvel Super Hero Island. 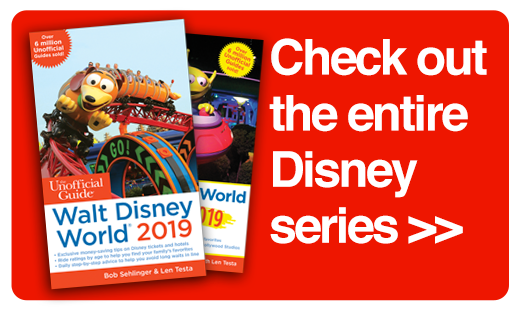 Little tunnels and a few mild turns make this a charming attraction, but a bizarrely high minimum height requirement (raised in recent years to 40″) means that many in the Trolley’s target demographic will be banned from riding. 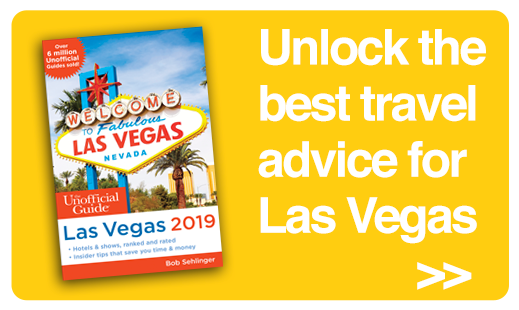 Note that you can choose from two different train tracks at the boarding station. As you face the platform, to your left is the Beech track, which is aquamarine; to your right is the Star track, which is purple. If you’re riding with a large group, keep your group together if you all want the same experience because the track on each side offers different visuals and two randomly selected ride sound tracks. 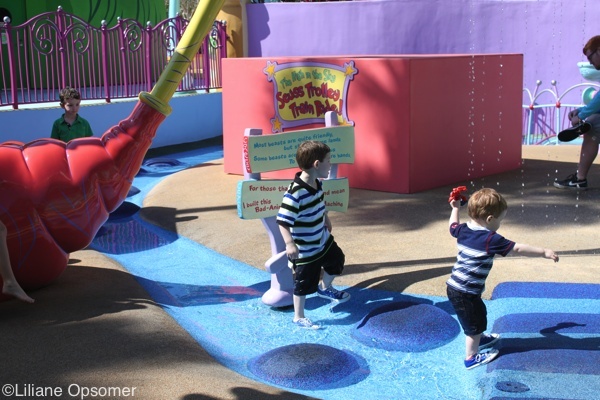 Even at Seuss Landing you can get soaked — One Fish, Two Fish, Red Fish, Blue Fish will do it to you! Imagine a mild spinning ride similar to Disney’s Magic Carpets of Aladdin, TriceraTop Spin, and Dumbo rides, only with Seuss-style fish for ride vehicles, and you have half the story. The other half involves yet another opportunity to get wet. 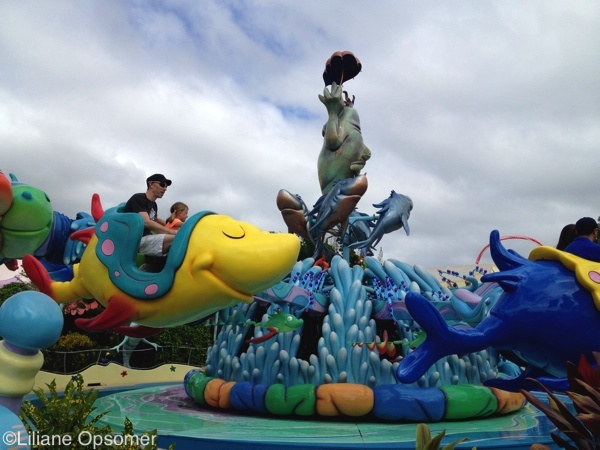 Guests board a fish-shaped ride vehicle mounted to an arm attached to a central axis, around which the ride vehicles spin. Guests can raise and lower their fish 15 feet in the air while traveling in circles and trying to avoid streams of water sprayed by other fish mounted to “squirt posts” around the ride’s perimeter. You can avoid most of the spray by going up or down at the right time. If you pay attention to the color of your vehicle and listen to the song played in the background, you can (eventually) figure out when to move your fish. 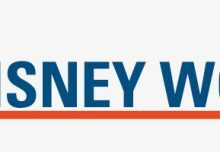 We don’t know what it is about this theme park and water, but you’ll get wetter than at a full-immersion baptism. Lines can build in the afternoon, so ride early while you’ll still have time to dry off. Oh! The Stories You’ll Hear! 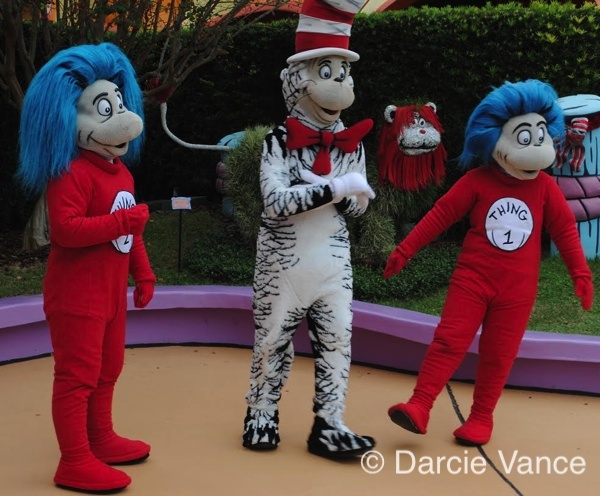 Featuring many of Dr. Seuss’s most beloved characters (including The Lorax, The Grinch, Thing 1 and Thing 2, Sam I Am, and the Cat in the Hat), Oh! The Stories You’ll Hear! is a fun singing and dancing show staged in an outdoor area between One Fish, Two Fish, Red Fish, Blue Fish and The Cat in the Hat Ride. 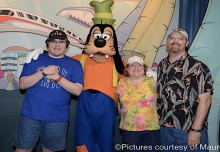 After each 9-minute show, the characters separate for individual meet-and-greets and autographs. 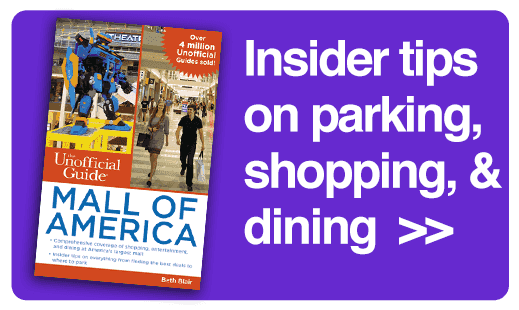 Touring tips: Shows run daily, starting usually by 11:30 a.m. and continuing every hour until about 5 p.m. on a schedule published in the park map. During inclement weather, the show takes place within the Circus McGurkus Cafe Stoopendous restaurant nearby. On Sundays, they skip the show but still do the meet-and-greets on schedule. If I Ran the Zoo is an interactive play area and outdoor maze, themed to Dr. Seuss rhymes and filled with the fantastic animals and gizmos from Seuss stories. Note that much of the play area is unshaded, so bring a drink and hat for the little ones. And yes, there are plenty of opportunities for the kids to get completely soaked here too. What can we say? 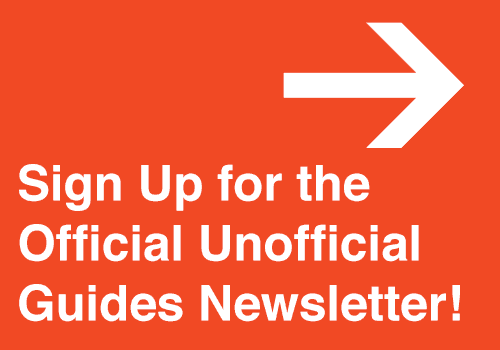 It is a Universal thing! 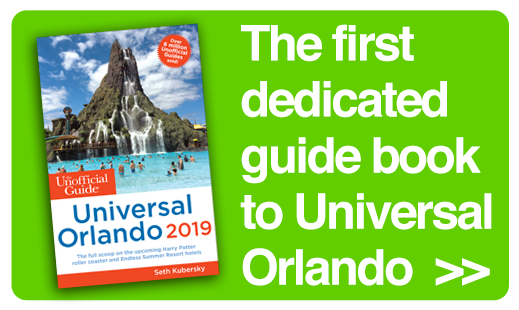 In his book The Unofficial Guide to Universal Orlando, author Seth Kubersky shares descriptions of all rides at Universal Orlando. 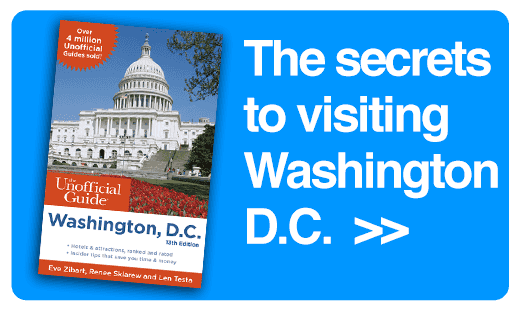 The book also has Touring Plans especially designed for parents visiting with young children.